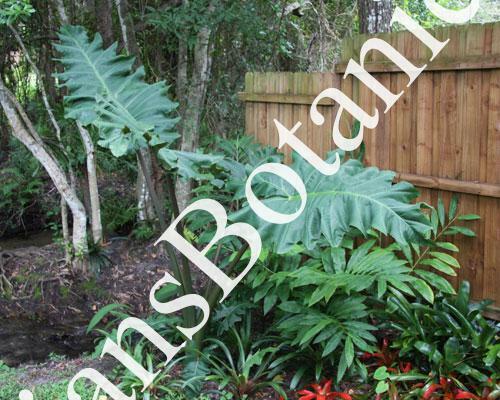 A clone or variety of Alocasia portii known as Megalodon. With large pinnated leaves growing large in tropical climates. This maybe a natural hybrid looks to be a great plant for containers or tropical displays.